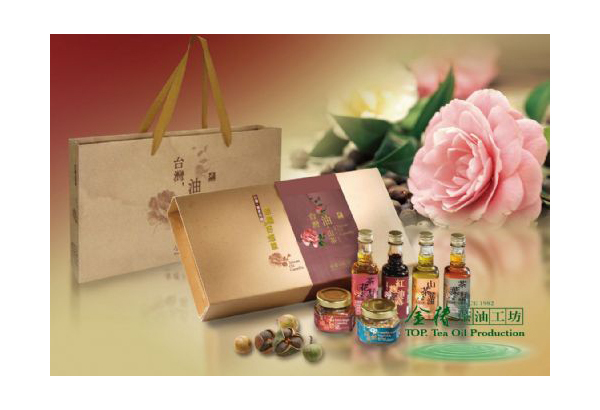 Known as"immortals'oil"and"beauty oil,"camellia oil is a top grade health food and has been used in the imperial kitchen since antiquity. 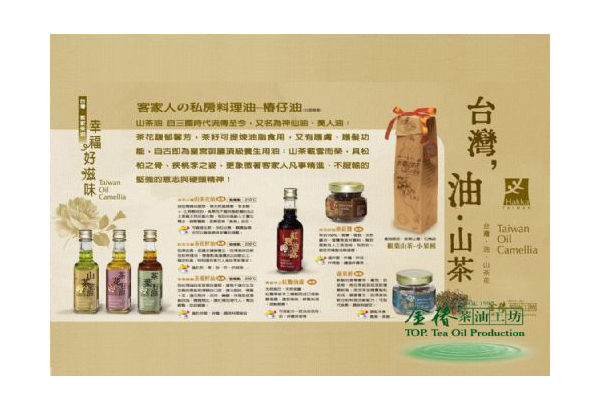 The 100% camellia oil of Golden-Flower Tea Oil Production is made with hand picked,carefully graded tea seeds under strict quality control; stored at low temperatures throughout the process to maintain freshness,the kernels are cold pressed to retain the full nutrition. 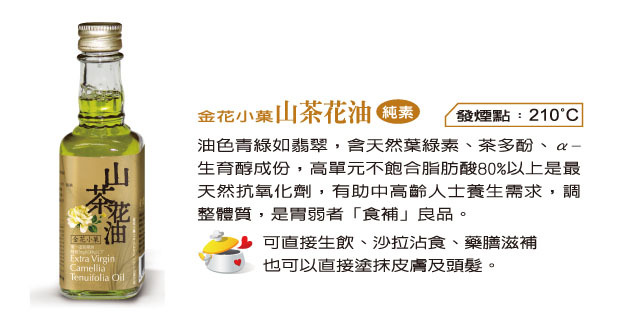 Camellia oil is mild with a high smoking point and suitable for use in many types of cooking. 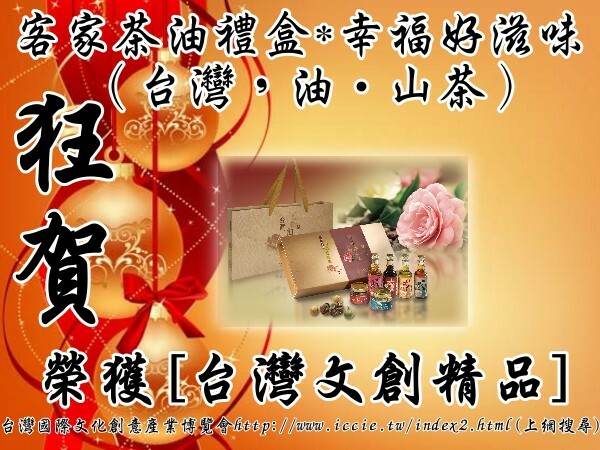 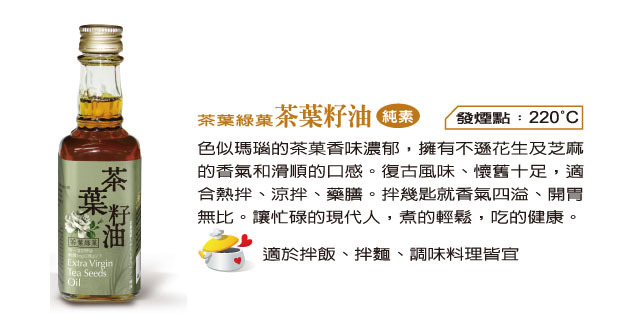 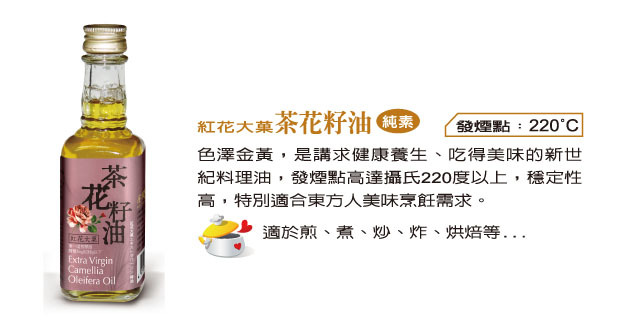 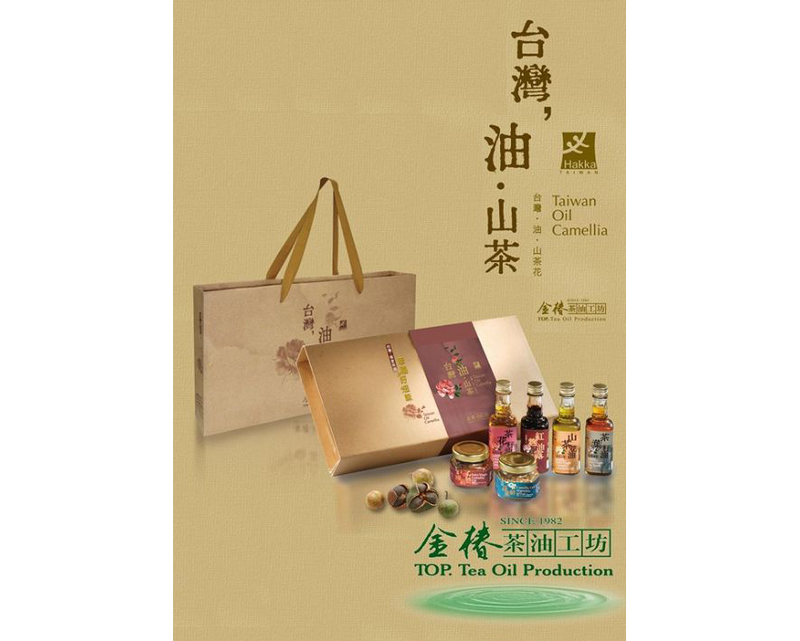 In the future,we hope to promote camellia oil internationally as a special produce of contemporary Taiwan,and turn it into"the olive oil of the East!"